Epidural steroid injections are a treatment used to treat back, neck, arm and leg pain brought about by inflammation of the spinal nerves. Spinal nerve inflammation is caused by the surrounding nerves compressing it and this could be due to bone spurs, disc herniations, spine ligaments thickening, abnormal vertebrae ligaments or slipped vertebrae and joint cysts just to mention a few. At times, the symptoms may be sparked up from a work injury that exacerbates pain with inflammation. The injections do not deal with the underlying cause of the problem but provide pain relief and they are considered a temporary treatment. The term epidural refers to the epidural space which is the sleeve that cushions the spinal cord and nerves. This space encircles the spinal sac. The steroids in this case are the medication that is directed into the epidural space by the Arizona workers compensation pain doctor. Epidural steroid injections contain anti-inflammatory properties which go a long way in relieving pain giving the patient a chance to improve on his or her functions. While steroid injections do not treat the condition causing the pain, they allow the body to heal faster as they reduce the inflammation and pain. Who Are Ideal Candidates for Epidural Steroid Injections? 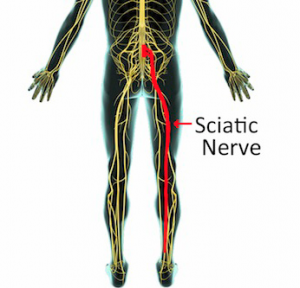 Epidural steroid injections are used on patients who have radicular pain or sciatica. This is basically pain that is radiating from the spine down an extremity including an arm, a leg, or both. They can be used to provide relief from nerve compressions such as sciatica which affects the buttocks and legs as well degenerative disc disorders which are brought about due to aging or the breakdown of intervertebral disc. 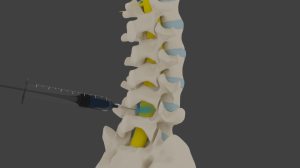 Patients with herniated discs, spinal stenosis which is the narrowing of the nerve root and spinal canal as well as spondylolysis are also suitable candidates for these injections. The injections can determine if surgery is going to be useful and are often used along with rehabilitative therapies such as physical exercise. It also may occur from an injured worker that sparks up inflammation and pain from a pinched nerve. Not all patients can undergo epidural steroid injections and this is because the steroids could elevate the levels of blood sugar and blood pressure as well. This makes the injections potentially unsuitable for diabetes patients, those with bleeding problems as well as expectant mothers. 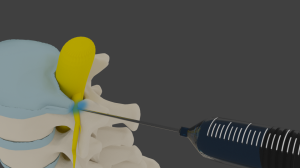 There are three ways in which epidural steroid injections can be delivered and these include the transforaminal approach, caudal and Interlaminar approaches as well. These three methods include using fluoroscopic guidance with an x-ray machine to ensure that the needle is placed in the right position. Before injecting the medication, a contrast dye test is first done to ensure that the medication goes to the desired area and this is followed by injecting the steroid medication into the epidural space. A local anesthetic is used with all three epidural steroid injection procedures being outpatient procedures. While it’s not really necessary, many patients request for mild sedation with the injections.The effects of the steroid injections can be felt within one to three days and they come with very few side effects. Epidural steroid injections are quite popular in Federal workers compensation pain management. They are considered safe and effective in treating back pain and can enhance recovery when used with other treatments.